You can read more about the standards here. The standards, though, are a minimum level of protection. Two agencies conduct and publish helmet crash testing data which rates helmets based on their overall protection beyond the standard. Not all helmets are created equal – some have far superior protection than others. It’s estimated that in the UK alone, 50 lives could be saved each year if motorbike riders wore the safest helmet available. In Australia, helmet testing is performed by CRASH (Consumer Rating and Assessment of Safety Helmets) which is run by a consortium of a number of government agencies and a motoring organisation. 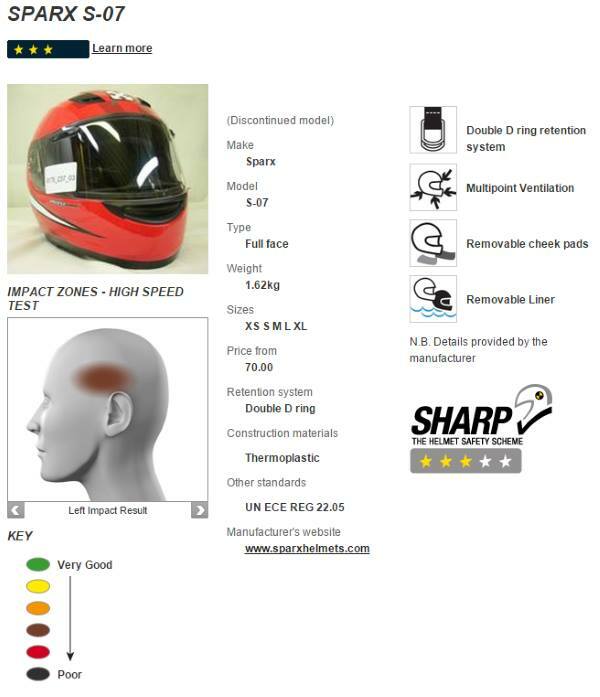 In the UK, a similar system is run under the acronym SHARP (Safety Helmet Assessment and Rating Programme) which is run by the Department for Transport. The systems are very similar, but not identical. CRASH rates helmets that are available in Australia, and SHARP rates helmets that are available in the UK. There is some crossover. SHARP has more helmets reviewed than CRASH. CRASH protection performance is assessed using the performance of the helmet during the impact (in protecting the head), and the helmet’s ability to stay on the wearer’s head during a crash. The helmet must cover the frontal and temporal areas of the head, not disintegrate during the impact and be able to minimise injuries to the head under different types of impact. The test uses a simulated human head in the helmet and the impacts are tested on a flat surface to simulate a roadway and an edge to simulate a kerb. The helmet’s ability to absorb an impact without creating intolerable deceleration in the head, or unnecessary rebound, is calculated by looking at the ratio of speeds before and after an impact. The helmet should remain in place throughout the impact. An additional test is performed by attempting to roll the helmet off the head by applying an upward force to the rear of the helmet at its base. CRASH tests full-face, open-face, modular (flip up) and dual purpose (e.g. motocross) helmets. It does not test half helmets as they don’t provide the required level of protection. For an explanation of different types of helmets, click here. CRASH gives each helmet two scores out of 5: one for protection and one for comfort. The following table shows the protection rating for a SparX S-07. For CRASH test ratings, click here. SHARP, like CRASH, gives a simple 5-star score but only for protection. The results given are more simplistic, but do show points of impact and how well they fare. This link is to the SparX S-07 review and you can see that it only gets 3/5 stars from SHARP, but 4/5 stars from CRASH. Therefore all ratings should be considered in light of their competition. 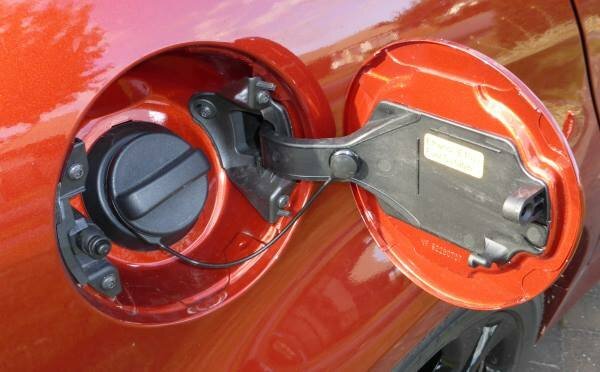 ‹ Should you buy a petrol or diesel car?